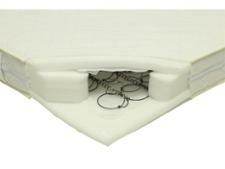 Cot Mattress Safety - Which? Give your baby and toddler the best and safest sleeping space with our top cot mattress tips. A crucial part of safe sleeping is choosing the best cot mattress. 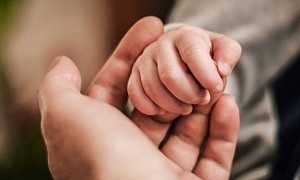 The Lullaby Trust, the UK's foremost organisation on baby safe sleeping, recommends that the safest place for your baby to sleep is on their own sleep surface, in the same room as you, for at least the first six months. Read on to see what makes a safe cot mattress. Make sure you choose the right size of cot mattress. The mattress should fit the cot with no gaps down the side that are more than 3cm. Make sure the mattress is firm and flat, and protected by a waterproof cover (sometimes called a mattress protector). Avoid second-hand mattresses where possible. Check any mattress you use conforms to current safety requirements. Mattresses should carry the BSI number BS 1877-10:2011+A1:2012. It’s preferable if they also carry BS 7177:1996 and BS EN 16890:2017. See below for more information about these standards and what they mean. Cot mattresses that comply with the current British Standards requirements give you confidence that what you’re buying for your baby is safe, and we would always encourage you to check whether your products are marked with a BS number. With cot mattresses it’s slightly more complicated, as there are a number of BS numbers to look out for. BS 1877-10:2011+A1:2012 is an older standard that specifies the kinds of materials, construction and dimensions required when manufacturing mattresses, while BS 7177:1996 relates to flammability. There’s also a much newer cot mattress standard, BS EN 16890:2017, which was approved in September 2017, and it includes a number of requirements designed to test the safety of cot mattresses. This involves checking that no part of the mattress, for example the zip, can detach and become a choking hazard. There is also a test to check the firmness of the top of the mattress, so if your baby accidentally rolls onto their front, their face won’t sink into the mattress and potentially suffocate them. Which cot mattress is best? We test the firmness, body support and durability of each cot mattress we review, so we can recommend the best to you. If a mattress isn't firm enough to aid safe sleep and isn't sufficiently supportive then it becomes a Don't Buy cot mattress. Find out which mattress came out top in all these tests and the others we carry out (such as how well each mattress copes with leaks and baby sick) in our round up of best cot mattresses. New cot mattress for second baby? Buying second-hand? Maybe you are having baby number two and are thinking about using your first baby's cot mattress. Or maybe you are considering buying and using a second-hand mattress. The Lullaby Trust recommends you buy a new cot mattress for your baby, where possible. 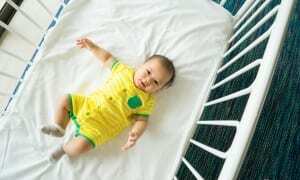 That's because it says there is some research that found an increased chance of sudden infant death syndrome (SIDS) when using a second-hand mattress, although the link is not yet proven. Our cot mattress testing has found that often mattresses lose firmness after a couple years of use. This means that a mattress used second-hand for a new baby might not be firm enough to give the safest sleeping surface a young baby needs. 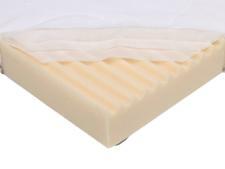 That the cot mattress is in good condition; that it's flat, firm, not soft, fits the cot without any gaps and doesn't sag. It has been cleaned and dried thoroughly. Check that it was previously used with a waterproof cover. Make sure you use it with a waterproof cover. Check it's free from cracks or tears or holes. What is SIDS/sudden infant death syndrome? Keep your baby's cot in your room with you for the first six months. You should always place your baby on his or her back to sleep, not front or side (unless your doctor advises otherwise). If your baby rolls onto his or her tummy you should turn them onto their back again. Your baby should be put to down to sleep in this position until he or she is able to roll from back to front and back again. Place your baby with feet to the foot of the cot, so he or she can’t wriggle down under the covers. Don’t worry if he or she wriggles up and gets uncovered. It can be dangerous if your baby’s head gets covered when he or she sleeps. To avoid this, tuck in the bedclothes firmly around your child and no higher than his or her shoulders. Never use a pillow, quilt or duvet if your baby is under one year old. Instead, use cotton sheets or lightweight blankets. Alternatively, you can use a baby sleeping bag instead of bedding. The recommended room temperature for a baby to sleep in is 16-20ºC (61-68ºF) – use a room thermometer to check the temperature before putting your baby to bed. To check whether your baby is too hot, look for sweating or feel the back of your baby’s neck or his or her tummy, not hands or feet. It is very important that your baby does not overheat while sleeping as the chance of SIDS is higher in babies who get too hot while sleeping. Many cot mattress manufacturers make claims about their mattresses having extra features that provide a cooler sleeping surface for your baby, such as special construction or fabric. It's important to know that your cot mattress won't single handedly be able to keep your baby from overheating, so make sure you follow the temperature advice above. Also be careful of letting marketing claims on mattresses sway your buying decision. One of the things we test cot mattresses for is insulation and we classify each mattress in terms of the level of insulation it provides. 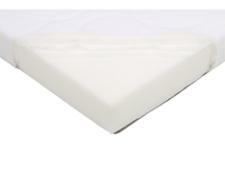 Compare our cot mattress reviews to see the differences.